I LOVVVEEE making homemade pesto. The flavors in it are so much more vibrant than in store-bought pesto. It couldn’t be easier to prepare; all you need is a food processor or blender. 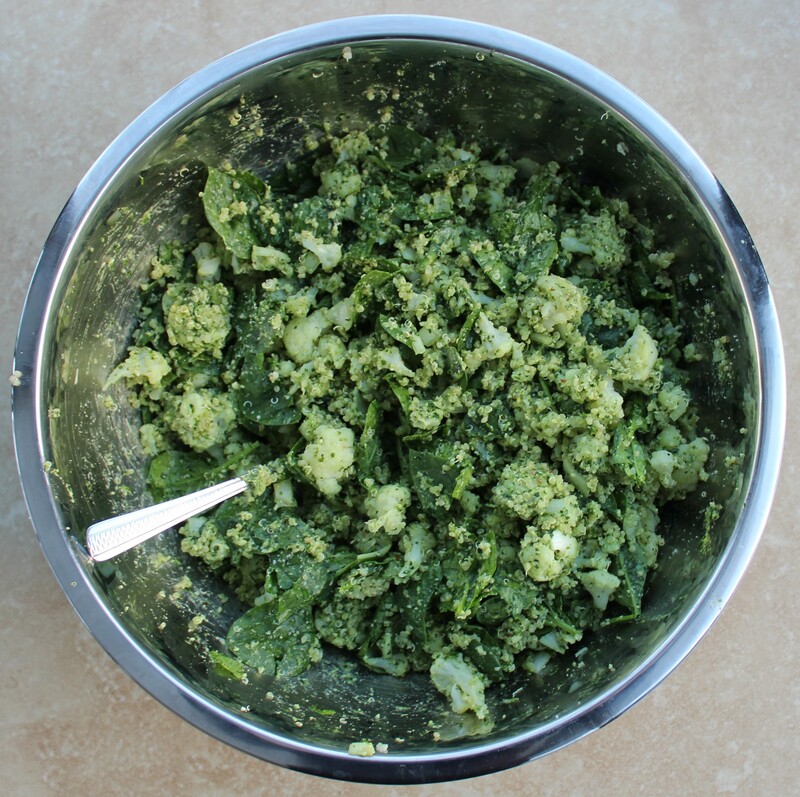 My pesto recipe features fresh parsley, Parmigiano-Reggiano cheese, and pine nuts. If you don’t have pine nuts on hand and don’t care to buy them – because let’s be real, they are an investment – you can use walnuts instead. This recipe was inspired by one of my resolutions for 2017: to eat more veggies. I already consume a good amount of vegetables, but I always feel like I can eat more. One way I try to incorporate additional veggies into my diet is by sneaking them into main-course dishes. 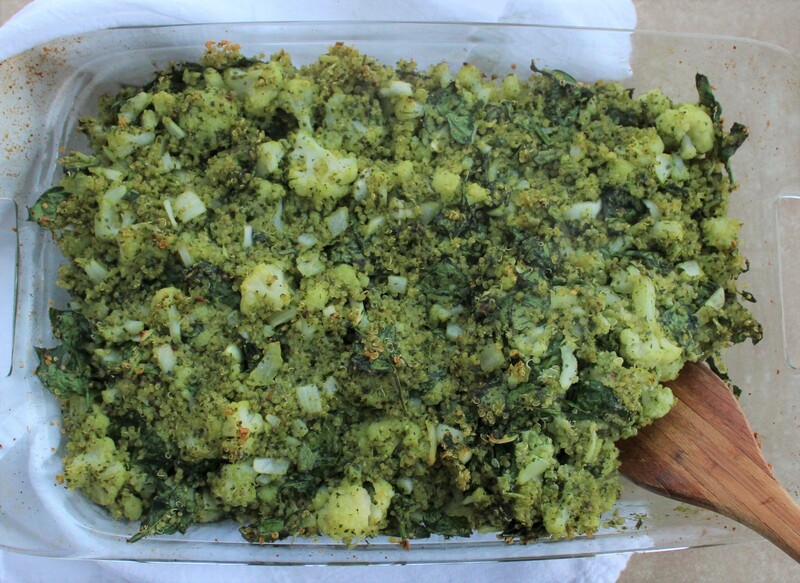 This Cheesy Cauliflower Spinach Quinoa Pesto Bake is so richly flavored, you won’t care that you are substituting cauliflower and quinoa for starchy pasta. Vegetarian AND gluten-free? Man, we are getting the year off to an excellent start! 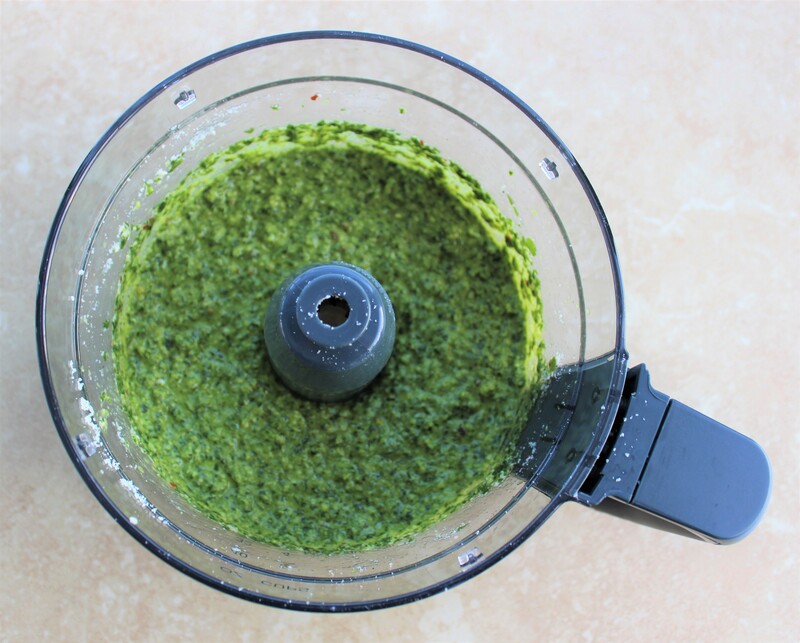 Blend all ingredients for the pesto sauce to a smooth consistency in a food processor or blender. Rinse the quinoa in a fine-mesh strainer. Add with the two cups of water or stock to a medium-sized pot. Bring to a boil, then cover and reduce the heat to medium-low and let simmer for 15 minutes, or until all of the water has been absorbed. Bring a large pot of water to a boil. Add the cauliflower florets and let boil until softened, about seven minutes. Drain water. 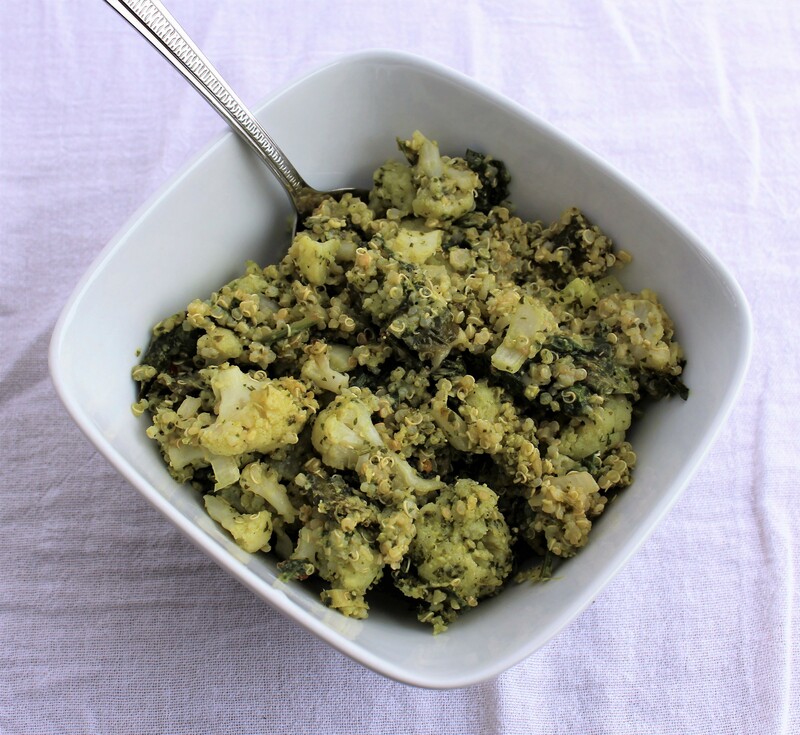 While the quinoa and cauliflower are cooking, add the oil and onion to a medium-sized pan over medium heat. Let onions cook until softened, about three to four minutes. Once the quinoa, cauliflower, and onion are ready, add them to a large mixing bowl with the spinach, pesto sauce, and additional half cup of Parmigiano-Reggiano cheese. Mix well, then evenly distribute within a 13×9-inch baking dish. Bake for 25 minutes, until cooked through and top is lightly browned. Then enjoy! Makes about 8 to 10 servings.